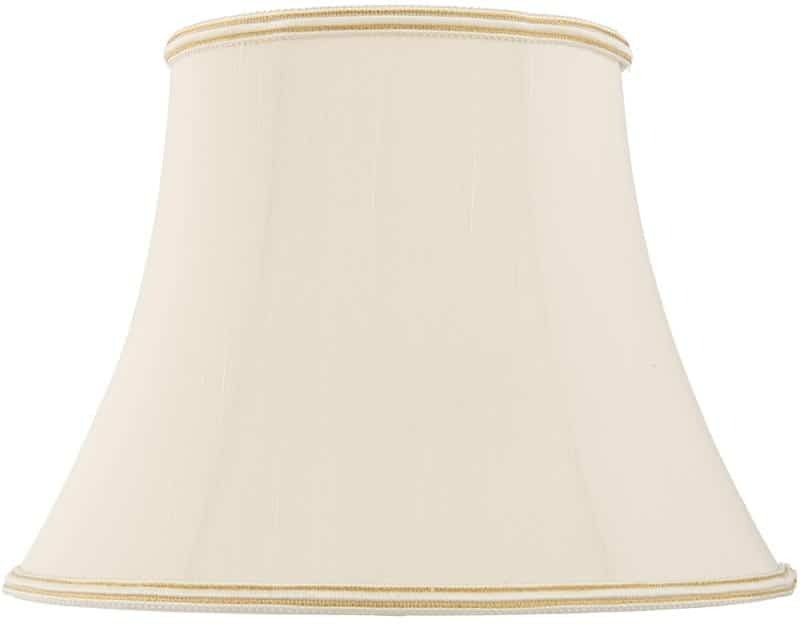 This Celia oval 14 inch oyster faux silk Empire table lamp shade with contrasting woven trim is handmade. A classic oval 14-inch medium table lamp shade designed in the traditional Empire design with a woven trim at the top and base of the shade. The faux silk fabric gives this shade a luxurious look and gives it a sheer look of quality, producing a soft warm light. This oval lamp shade has a top diameter of 155mm x 220mm and base diameter of 280mm x 365mm. I am struggling to understand the following measurements as shown for your Celia oval 14” table lamp. (top diameter of 155mm x 220mm and base diameter of 280mm x 365mm.) can you please give me one measurement for the top circumference & one for the bottom in approx inches. Thank you for the question. As this is an oval lampshade, there are a longer and a shorter diameter included in the dimensions. The circumference of the top is 24inches and the bottom is 40inches. Would you please explain where the fitting height is measured. Is it the length of the internal frame that supports the shade on the base? The height of these shades is the vertical distance from the top to the bottom of the shade. This lamp shade is suitable for use with both a BC bayonet cap, or ES Edison screw lamp holder, and requires no separate shade carrier.